Open plan living with private balcony or courtyard in a quiet position facing the back of the complex. 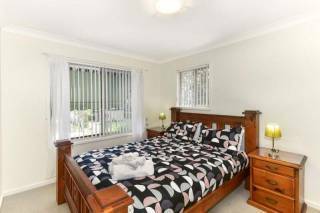 Ideal for budget-savvy couples or small family with 1 King Bed in Main bedroom plus a two-way bathroom, and 1 Queen Bed in the second bedroom. Featuring a private balcony with views of our lovely neighbourhood, this sunny and spacious Two Bedroom/2 Bathroom Apartment is available with 1 King and 1 Queen or 1 King and 2 Single Beds. Featuring a private balcony with views of our beautiful lagoon pool, this spacious Two Bedroom/2 Bathroom Apartment is available with 1 King and 1 Queen or 1 King and 2 Single Beds. Open plan living with private balcony or courtyard in a quiet position facing the back of the complex. Perfect for families and groups of singles travelling together, this spacious 3 Bedroom/2 Bathroom Apartment offers 1 King, and 2 Queen Beds that can all split into singles. Offering slightly more space with a balcony facing into the complex with partial views of the pool, this 3 Bedroom/2 Bathroom Apartment offers 1 King, and 2 Queen Beds that can also all split into singles. Perfect for a larger family or friends wanting affordable luxury. 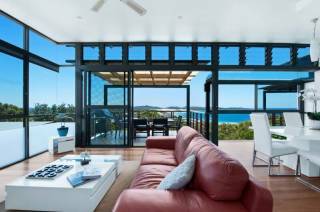 Boasting a private balcony with stunning views over the blue waters of Port Stephens, this one level 3 Bedroom/2 Bathroom penthouse has a large living area, and offers 1 King, 1 Queen and 2 Single Beds. 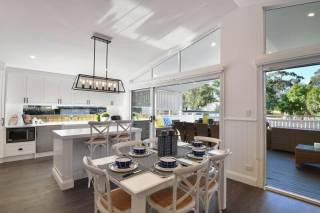 The ultimate in space and comfort set over two levels with 3 separate bedrooms and bathrooms, two living areas, and extended balconies with birds eye views of the entire complex and sparkling waters of Port Stephens. Available with 1 King, 1 Queen and 2 Single Beds. 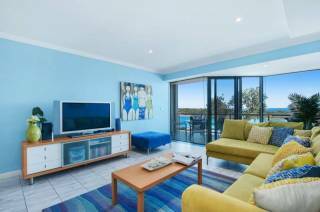 For the best in Nelson Bay accommodation, Aqua Resort is the only place to stay. 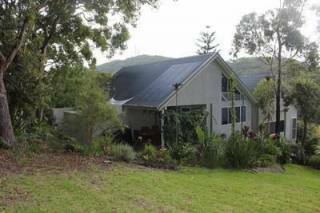 Located approximately 2.5 hours from Sydney. Aqua Resort, Nelson Bay accommodation is the perfect location for a weekend away or a relaxing holiday escape. 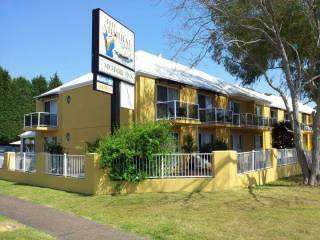 Mantra Aqua Resort Nelson Bay comprises 110 apartments nestled around the resort pool with cascading waterfall and children's fountain area, heated spa, BBQ facilities, gymnasium and kids activity room. All apartments are self-contained and the Resort does not have a restaurant on site, however we can offer great local knowledge on where is hospitable to eat. Mantra Aqua Resort Nelson Bay accommodation offers a selection of self-contained two and three bedroom apartments and penthouses, all within walking distance of everything Nelson Bay has to offer including a 27-hole golf course and a variety of amenities and activities. Apartments feature full kitchen and laundry facilities, air-conditioning in the lounge room, a balcony and sleek stone bench tops. Our Central Coast accommodation is perfect for a family holiday or couples getaway and features first class resort facilities with 25 meter lagoon pool, poolside recreation area complete with BBQ and spa as well as a gymnasium and tour desk. Effective May 1st 2015, Mantra Aqua Resort is a completely smoke free complex and does not allow smoking within the resort grounds. There's never a dull moment at Aqua Resort with a beautiful lagoon pool to dive into, relaxing spa, children's water fountain area and air conditioned gym. At Aqua Resort we want to ensure your stay is as stress-free as possible, that's why we offer the convenience of complimentary secure undercover parking. For those travelling on business we are pleased to offer conference and boardroom facilities to ensure your work will always get done. Dynamic Pricing - Prices/ quotations are subject to change without notice and will not be guaranteed until payment has been processed and you have received formal confirmation of your booking from us via email, SMS or letter. A dynamic pricing structure is in operation, tariffs change regularly according to occupancy. If a lower tariff is listed than previously booked we unfortunately cannot amend the tariffs charged after a booking confirmation has been issued. Conditions of stay - When planning your stay, please be aware that our check-in time is from 2:00 pm and the check out time on your day of departure is 10:00 am. Should you require times earlier or later, they are subject to availability and may incur an additional day use charge. Cancellations - Full payment of your accommodation is to be paid upon booking. PEAK SEASON - School Holidays, Long Weekends, Easter and 20/12 – 31/1 In the event of your plans being changed, more than 60 days notice will receive a full credit, less a service charge of $60. If less than 60 days notice of cancellation is received your full deposit is forfeited unless the room can be rebooked, in this instance a partial refund will be available. LOW SEASON In the event of your plans being changed, more than 48 hours notice will receive a full credit, less a service charge of $60. If less than 48 hours notice of cancellation is received your full deposit is forfeited. PROMOTIONS/SPECIAL DEALS (Including Our Deal/Scoopon/Groupon/Luxury Escapes/Cudo/Deals.com/Coxys) No Cancellations or Refunds, Dates can be changed subject to availablity.